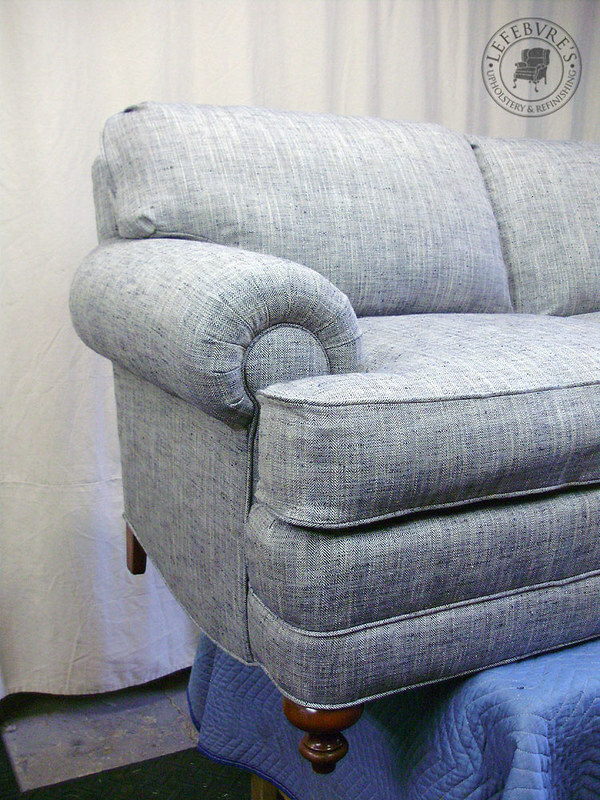 This was a very nice Italian arm chair. 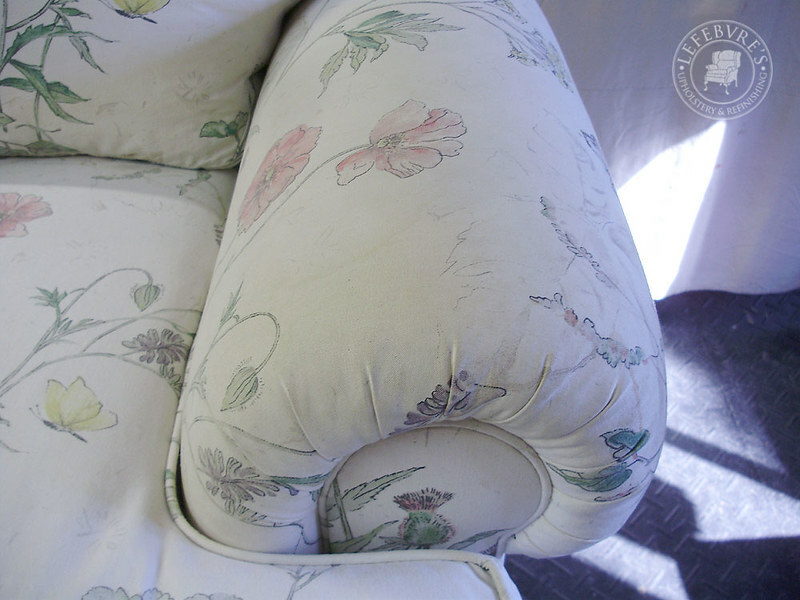 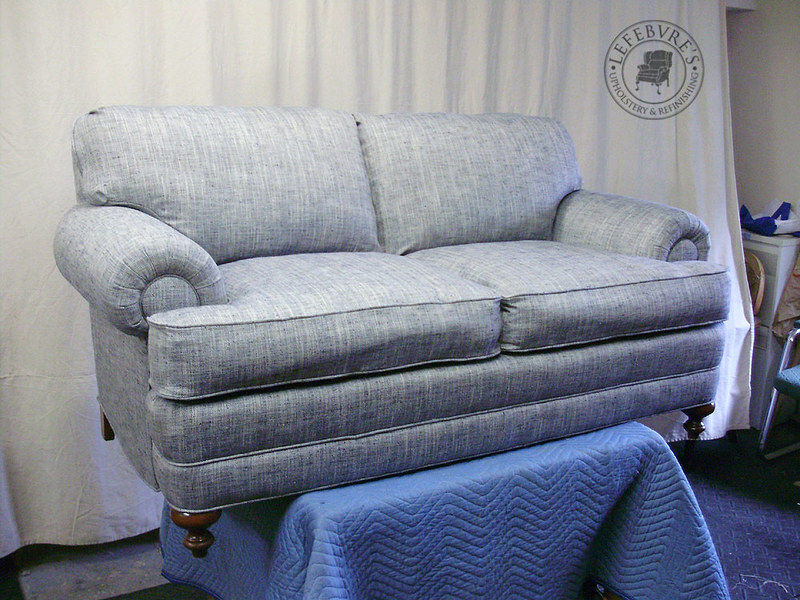 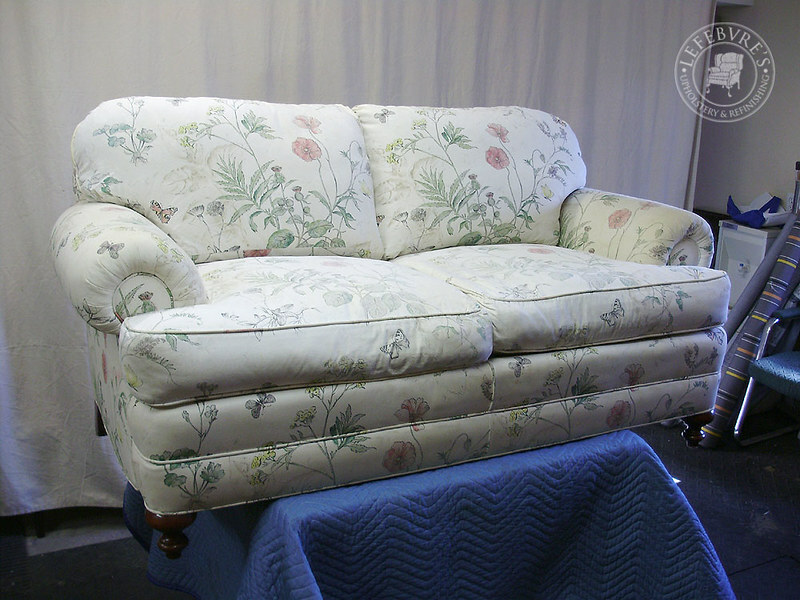 The stuffing had completely disintegrated, and it was in desperate need of new upholstery. 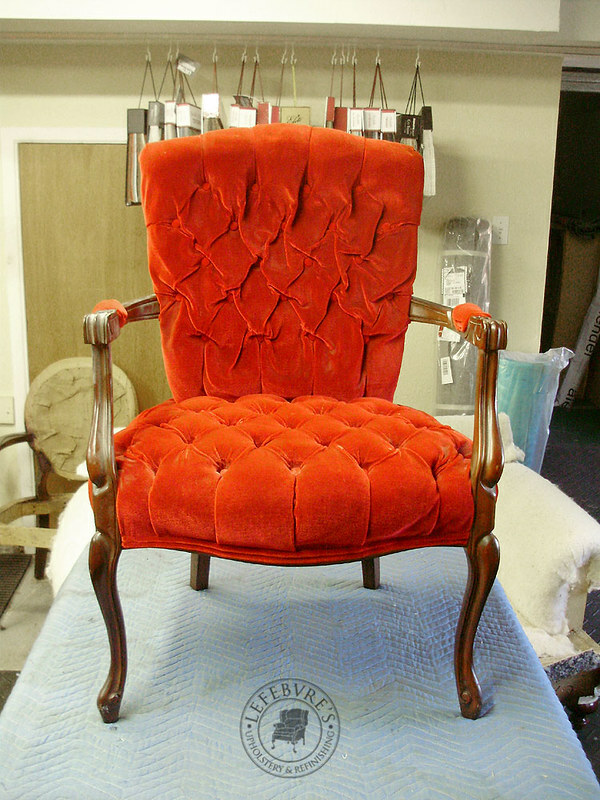 The original cover was a bright red velvet. 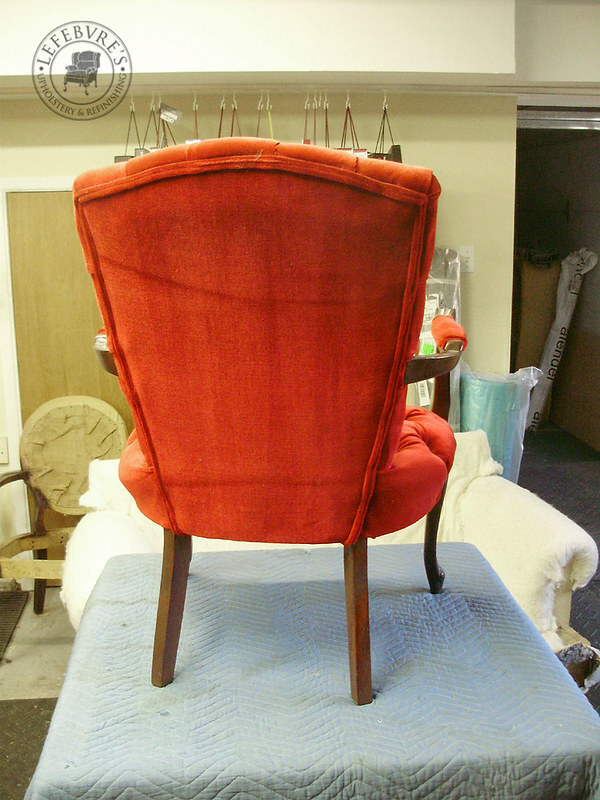 Note how all the tufting on the back has sagged and become baggy. 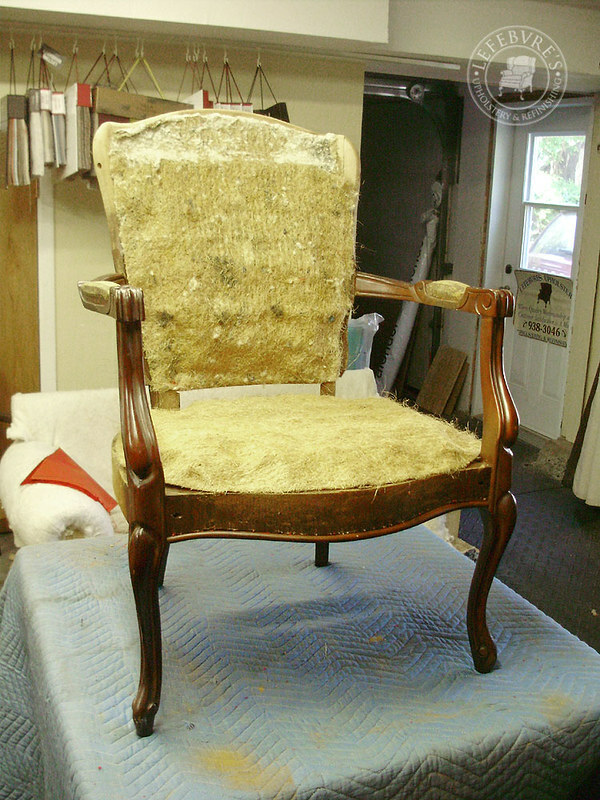 The back was not especially well finished. 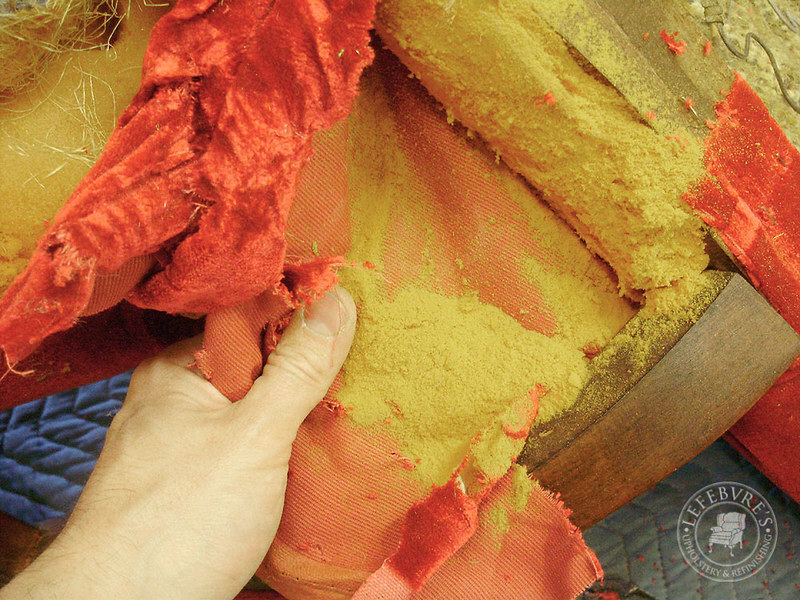 This was the condition of the old foam padding. 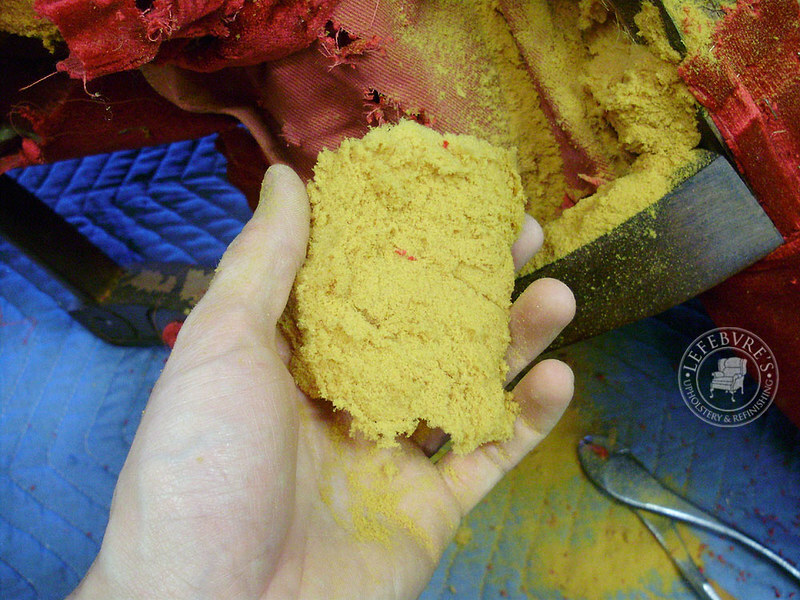 You could just crumble it in your hands like dry cake. 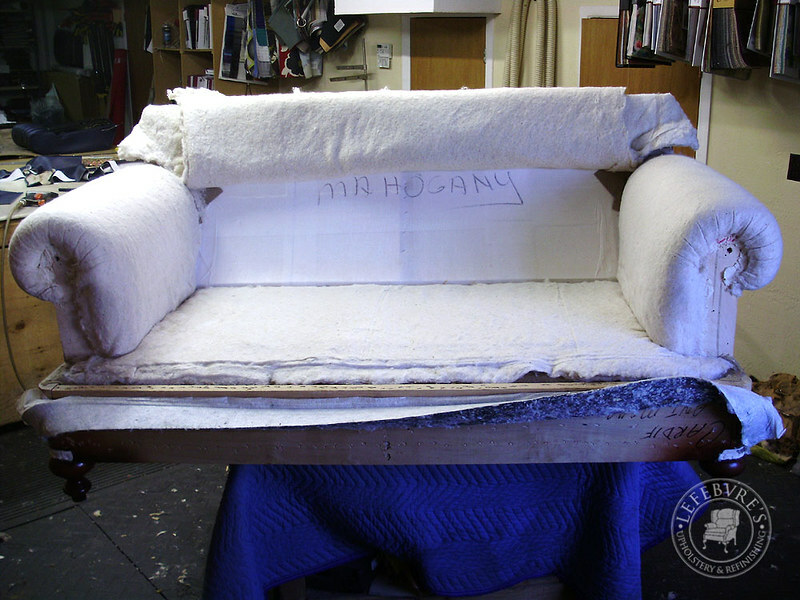 Here is the frame all stripped down (all the foam had to be replaced, and the client wanted to tufting/buttons). 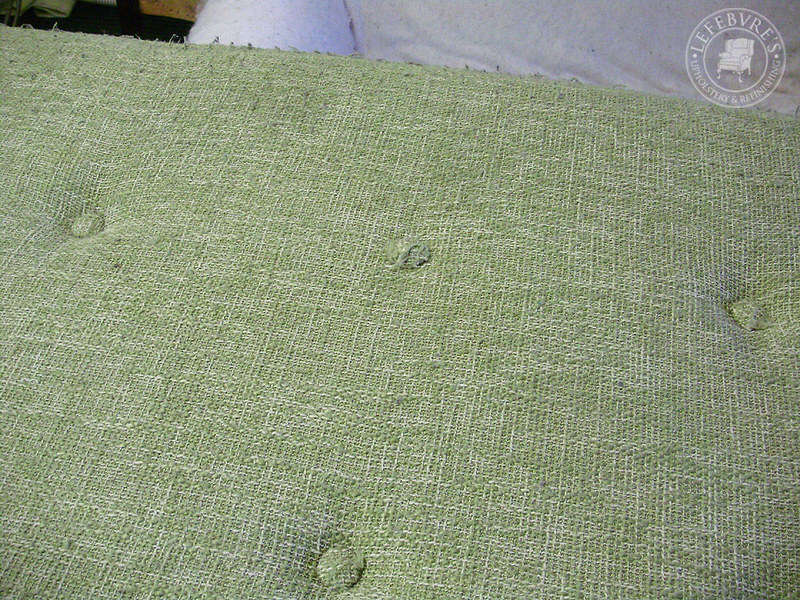 The springs are covered in a sort of thick mat material. 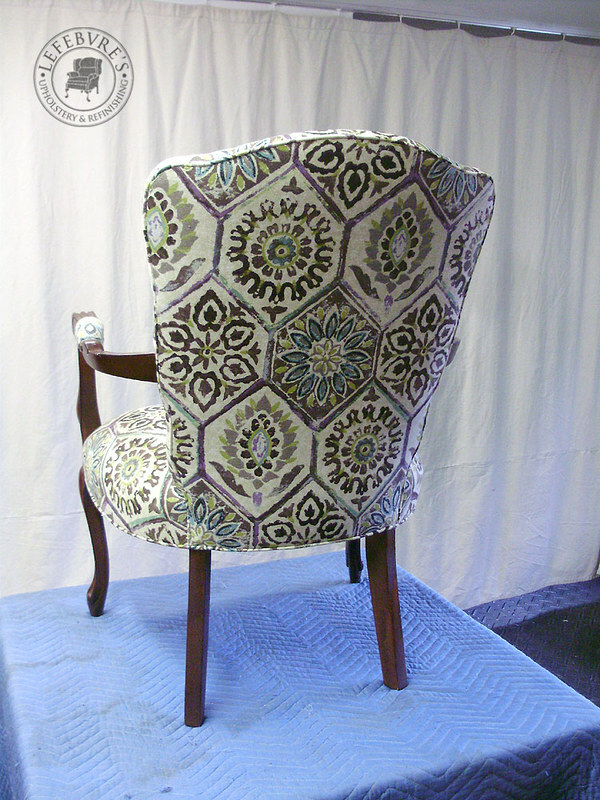 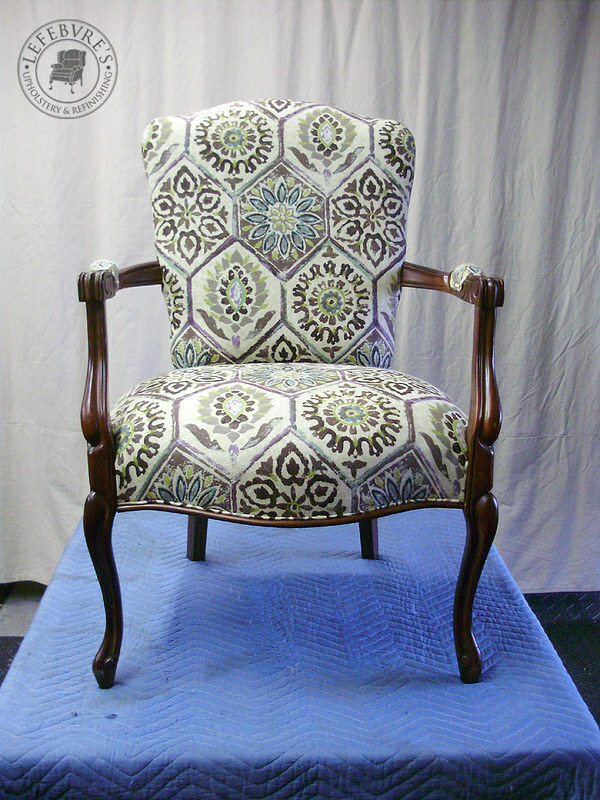 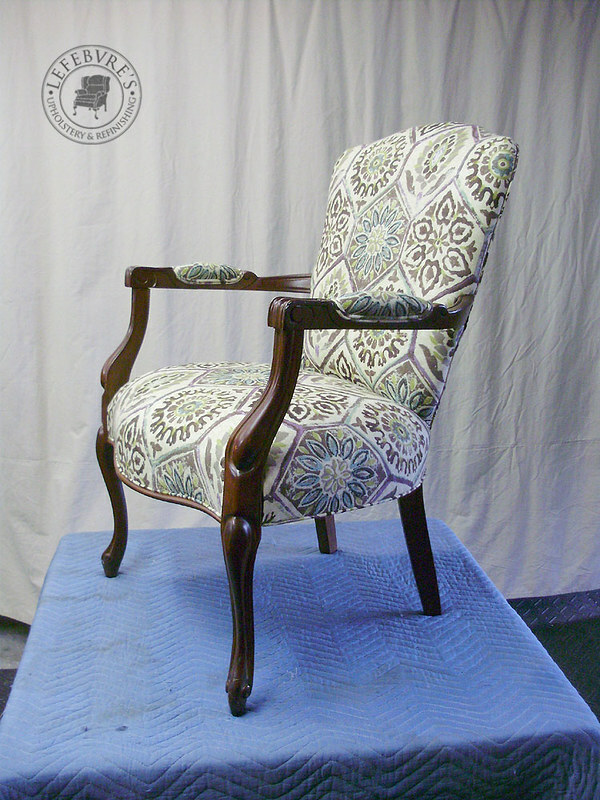 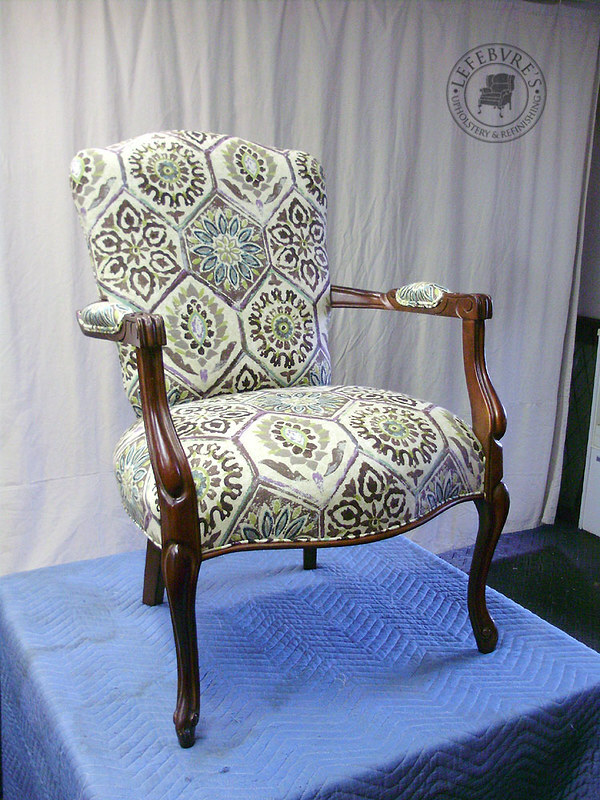 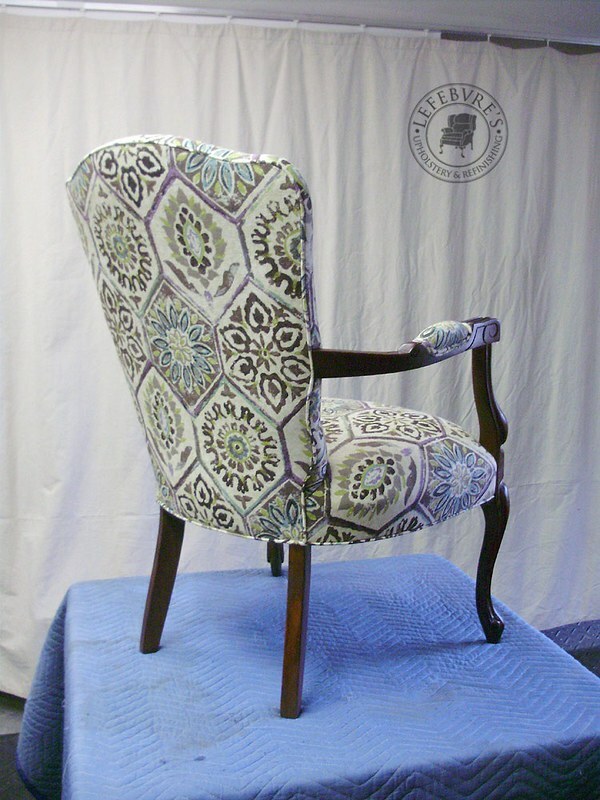 Finished chair in an updated geometric print fabric. 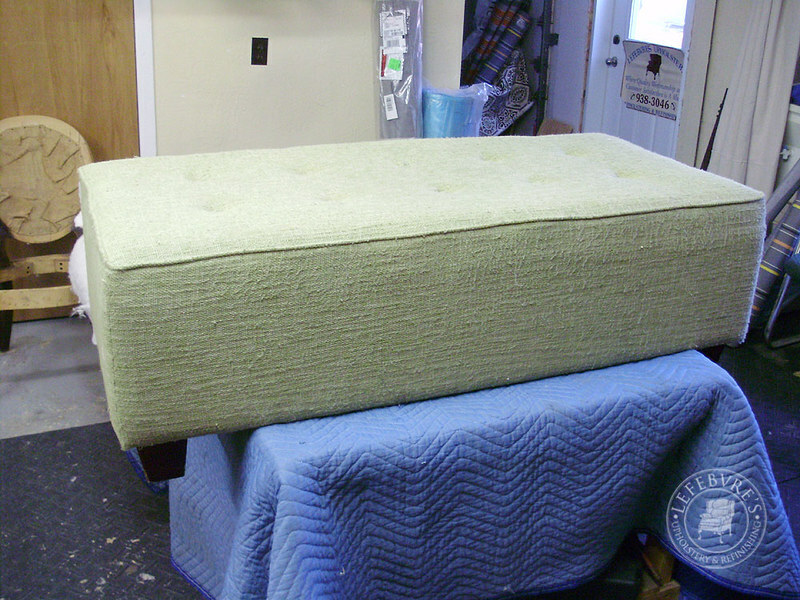 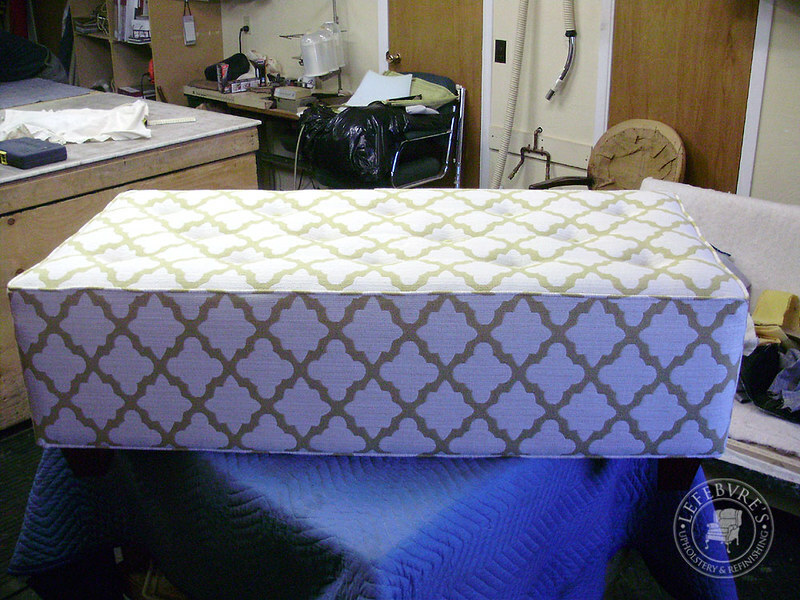 This was a large rectangular ottoman in need of fresh fabric. 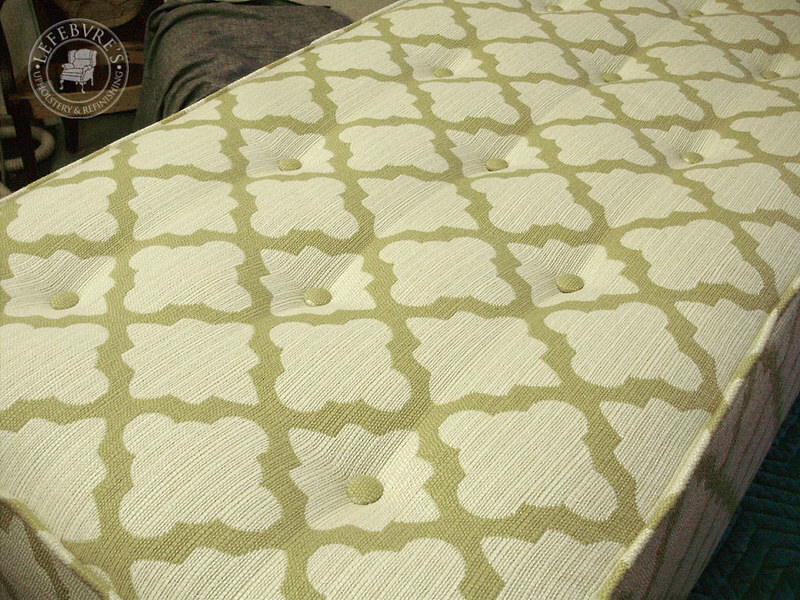 Note: the green in the print shows up as more of a gold/beige, but it is light mossy green with off-white. 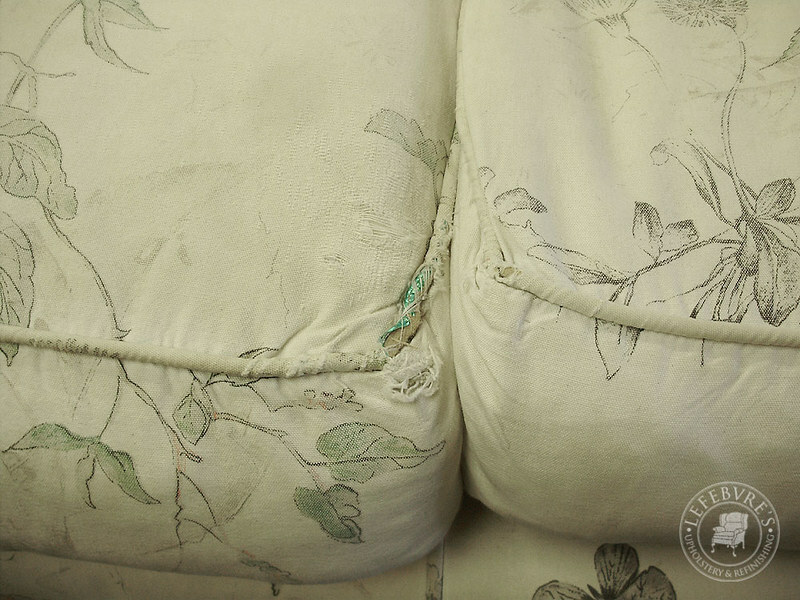 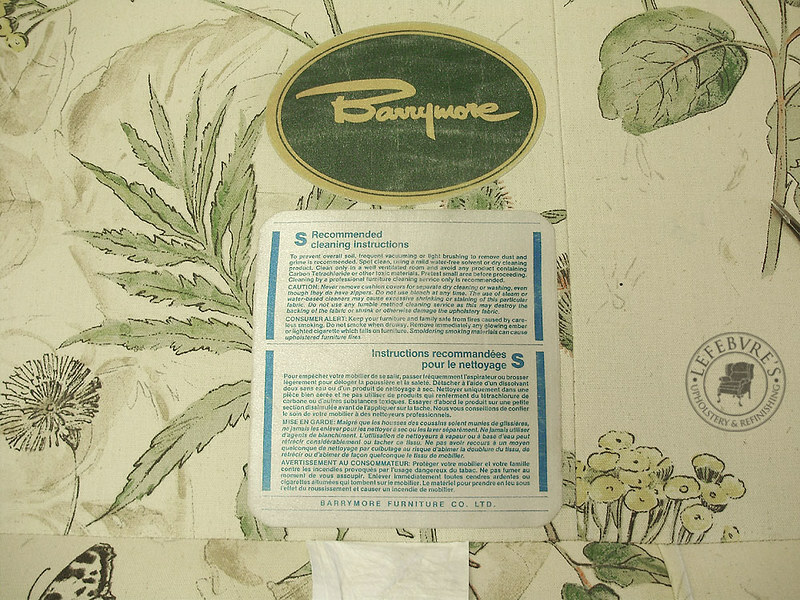 This was a well made pair of Barrymore sofas in need of new upholstery. 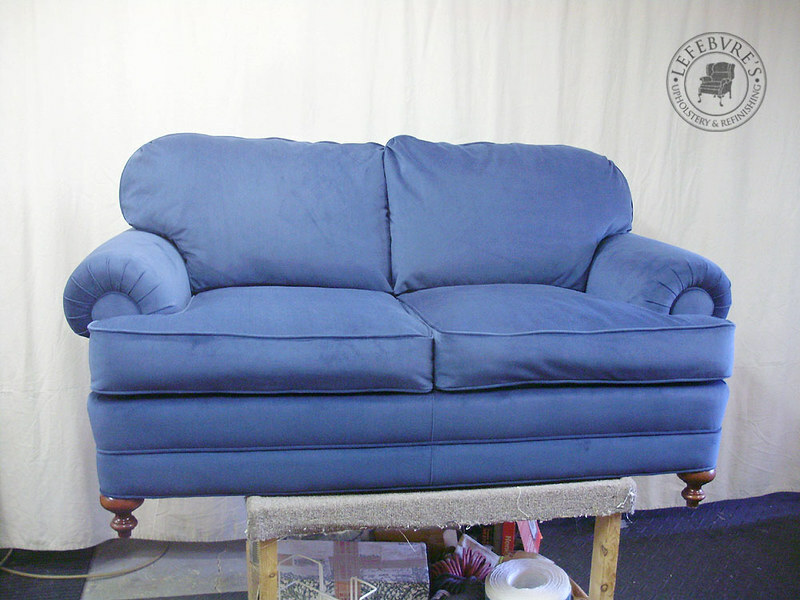 The original two sofas were identical, but redone in two different fabrics. 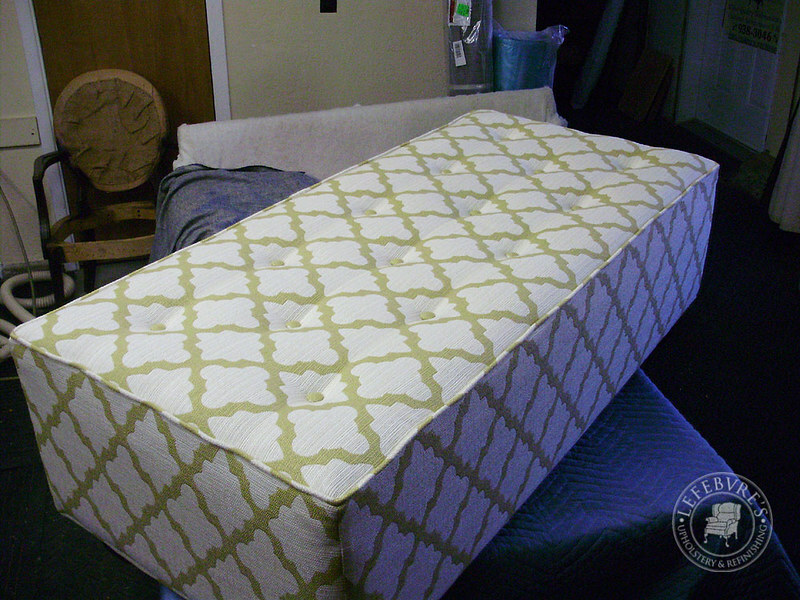 The padding on the arms was a little flattened. 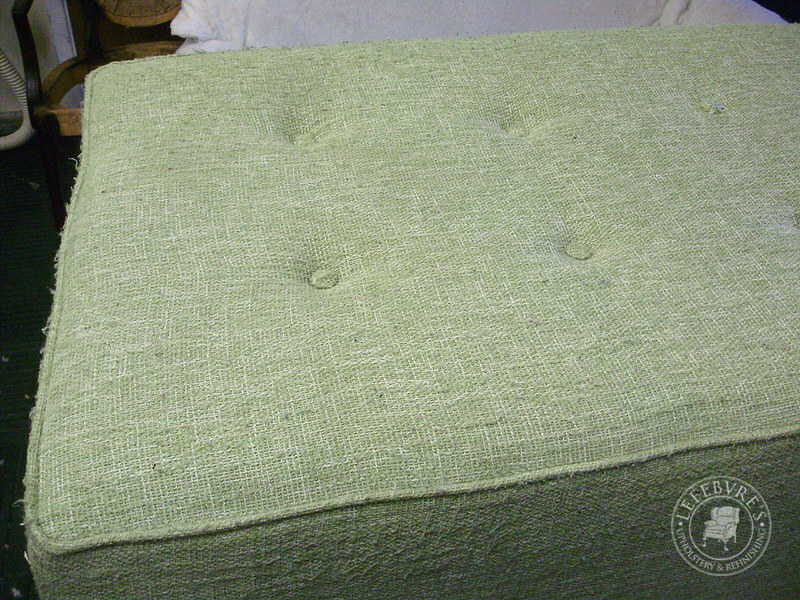 Sofa completely stripped down and ready for new fabric. 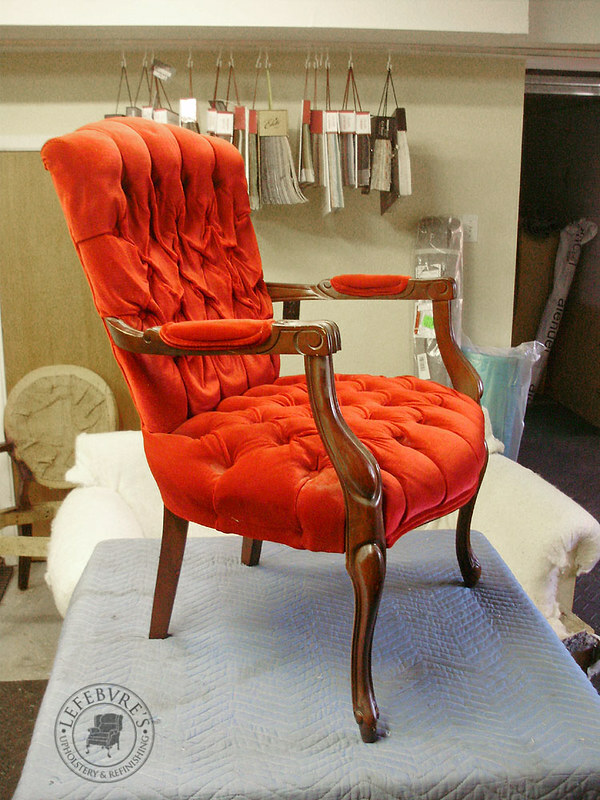 "Mahogany" indicates the colour of the legs. 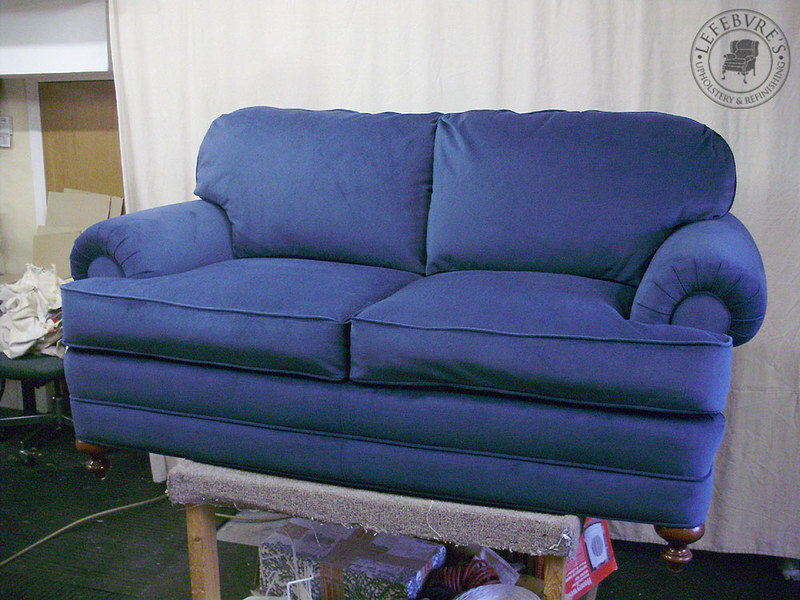 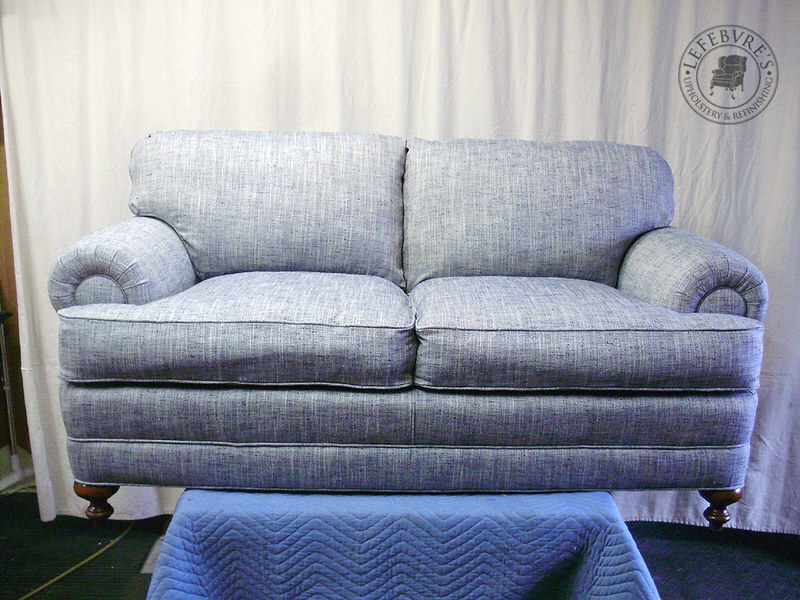 Here is the first sofa, in a sort of light blue denim colour. 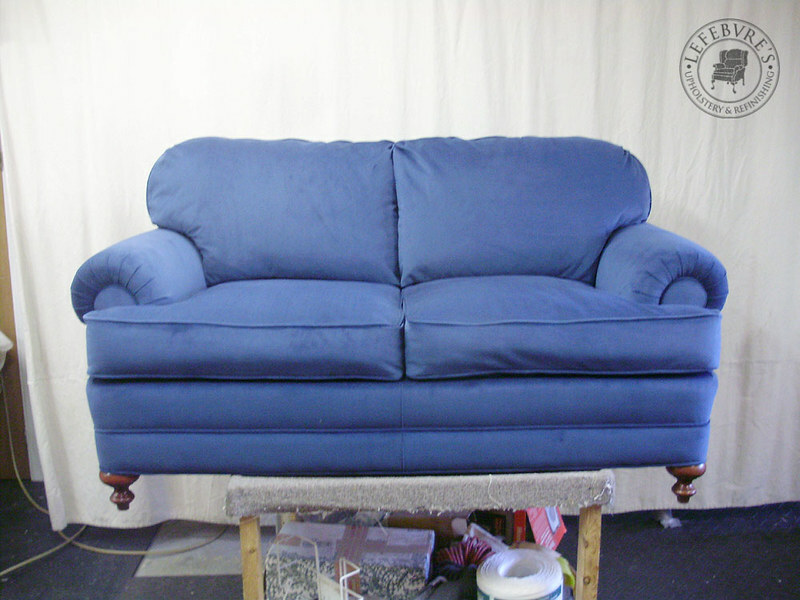 And this is the second one in a darker blue micro suede.